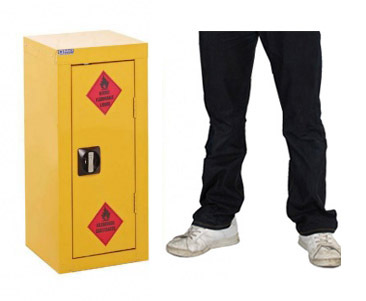 A handy size steel storage cupboard cabinet designed to isolate the hazardous materials, substances and flammable liquids used in the workplace. Supplied with 1 adjustable shelf. CoSHH compliant and supplied with high visibility labelling.